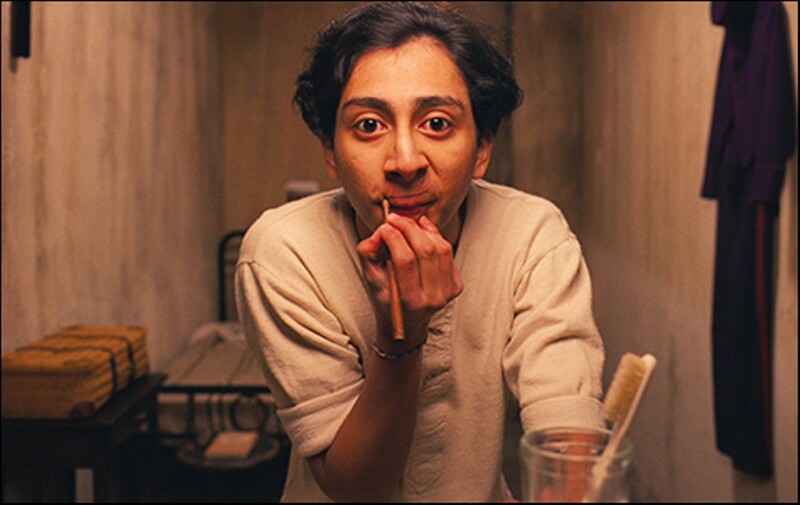 In its best moments, Grand Budapest Hotel is as whimsically entertaining as Fantastic Mr. Fox. Directed by Wes Anderson. With Ralph Fiennes and Tony Revolori. Opens Friday. Wes Anderson's latest is his most appealing film since Fantastic Mr. Fox: a gift-wrapped box of live-action-but-cartoonish Ruritanian fantasy with all the usual Anderson visual sumptuousness but also some elements the filmmaker sometimes forgets — things like convincing characterization and through-story. It will probably baffle the ordinary multiplex audience just as much as the writings of Stefan Zweig, the Austrian novelist-playwright-essayist who inspired Anderson in the first place. But for an agreeably precious afternoon of miniature interconnected vignettes, packed to the gills with extravagant visuals and cameos, Grand Budapest Hotel will charm not only the filmmaker's devoted cult but possibly a few of his detractors. 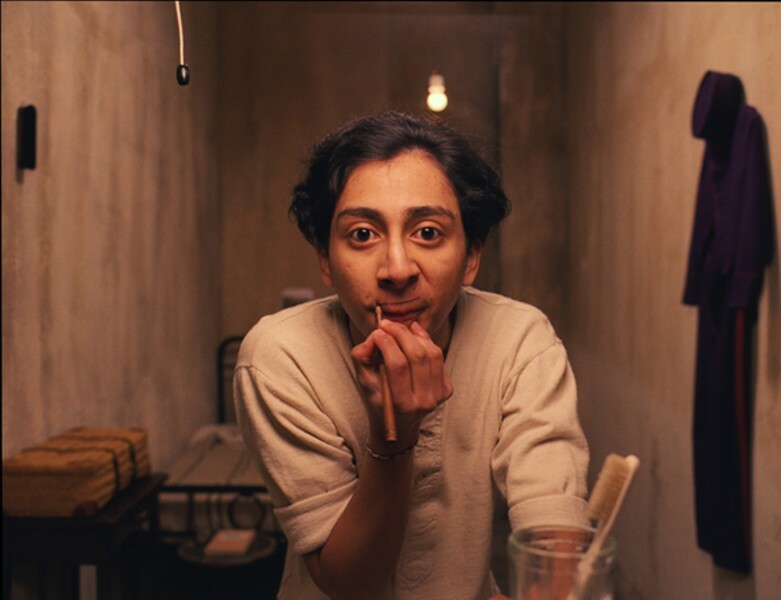 The nest of stories within stories begins in 1985, flashes back to 1968, and then further back to sometime between WWI and WWII, through the eyes of one-time hotel bellboy Zero Moustafa (F. Murray Abraham as his older self, Tony Revolori as the young Zero). The title location is a formerly grandiose but now visibly fading Middle European luxury mountain resort in the fictional town of Nebelsbad, Zubrowka, where the hotel's fastidious concierge, Monsieur Gustave (Ralph Fiennes), faces a predicament. A wealthy dowager and former hotel guest named Madame D (Tilda Swinton, barely recognizable) has died and bequeathed an oil painting to Gustave, her favorite servant. But the lady's son, Dmitri (Adrien Brody), wants the painting for himself and has hired a brass-knuckled hit man (Willem Dafoe) to bring it in. The intrepid Gustave and young Zero defy them. So the chase is on. That's the entire plot. Not exactly the skimpiest of Anderson's scenarios, but drastically short of incident in relation to its settings. It's one of Anderson's trademarks, a liability for most filmmakers but something the director — here working from a story he wrote with Hugo Guinness (The Royal Tenenbaums) — makes a game of. As in: Let's take as long as possible, while also cramming in acres of scenery and multitudes of guest stars, to travel from Point A to B. The locations are quite seductive. As in practically all Anderson creations, the sets are simultaneously dazzlingly opulent and glaringly artificial — special praise to production designer Adam Stockhausen (he did 12 Years a Slave as well as Moonrise Kingdom) and the craftspeople at Germany's Studio Babelsberg, who shot some of the more fanciful interiors in a defunct Saxonian department store. In its best moments, The Grand Budapest Hotel is as whimsically entertaining as Fantastic Mr. Fox; at its worst, as pointillistically irritating as The Darjeeling Limited. The best outnumber the worst. Fiennes is ideal as the fey majordomo M. Gustave, endlessly fussing over details while Revolori's Zero dispenses pained double takes. We'd need a book to talk about all the cameos, but Jeff Goldblum (as a disputatious lawyer), Harvey Keitel (a convict), Mathieu Amalric, Léa Seydoux, Edward Norton, and the menacing Dafoe shine amid the bric-a-brac. Too bad Paul Reubens, in his bellboy outfit from Pee-Wee's Big Adventure, wasn't available to play Zero. Fiennes obviously enjoys hamming it up — only Anderson could get away with giving his main character a long speech in the middle of a prison break. All these microscopic bits of business don't really add up to much as the movie plays out. Anderson is not Max Ophüls. He's not Jacques Tati, either. The film-school riffs keep tumbling out: Erich von Stroheim, The Shining, Welles, La cité des enfants perdus, Woody Allen's Shadows and Fog, John Huston's Beat the Devil (another demonstration of how to paper over lack of plot with chattering characters), Edmund Goulding's Grand Hotel, The Pink Panther, etc. When all else fails, recite the name Mme. Céline Villeneuve Desgoffe und Taxis over and over. Or investigate which gallery is exhibiting Boy with Apple by Johannes van Hoytl the Younger (still another Anderson invention, actually painted by artist Michael Taylor). If silliness is its own reward, The Grand Budapest Hotel has reserved a room for you. Please pay in advance.